The coffin burials that led to the discovery of the boat lie 16 meters east of the boat. 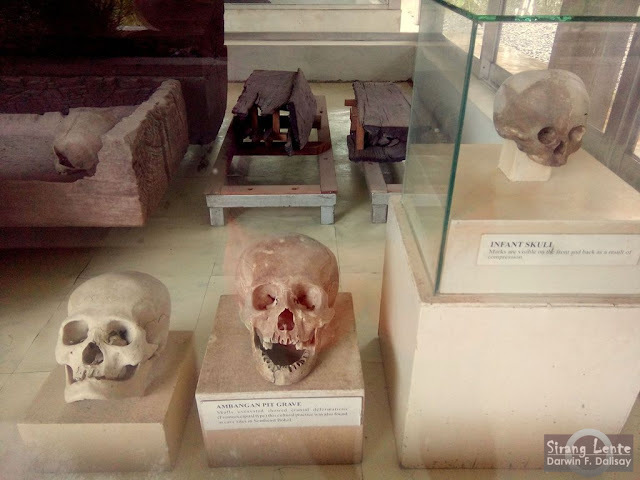 Similar to the inhumation in Suatan, Butuan, the coffins contain 14-15th century materials associate with remains having deformed skulls. Nine of these coffins were uncovered in a single trench but all the materials have been disturbed by the pothunters. 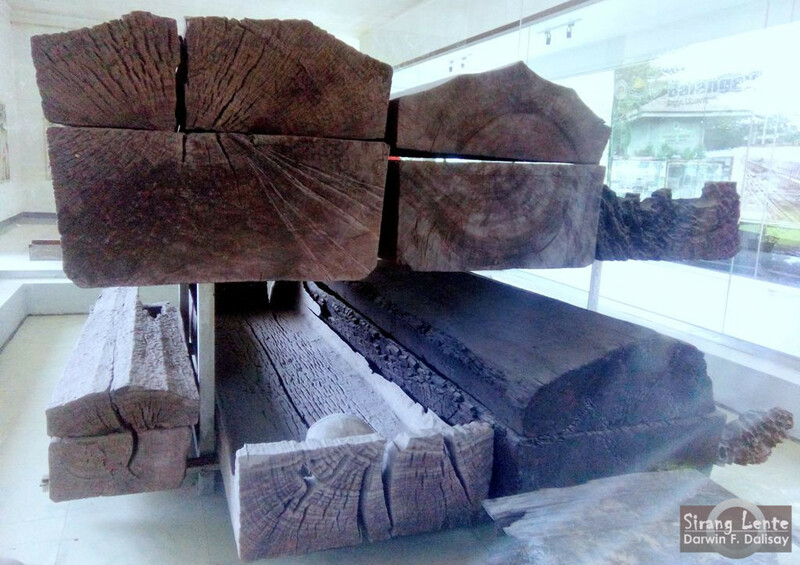 Reports have been made of multiple burials in the coffins which unlike coffin burials in rock shelters in the Central Philippine areas, were apparently primary burials with the remains fully extended. The coffins proportionately are large, measuring approximately 3 meters. Although proximate to the boat, the coffin burials have no chronological reference to the 12-13th century midden later. 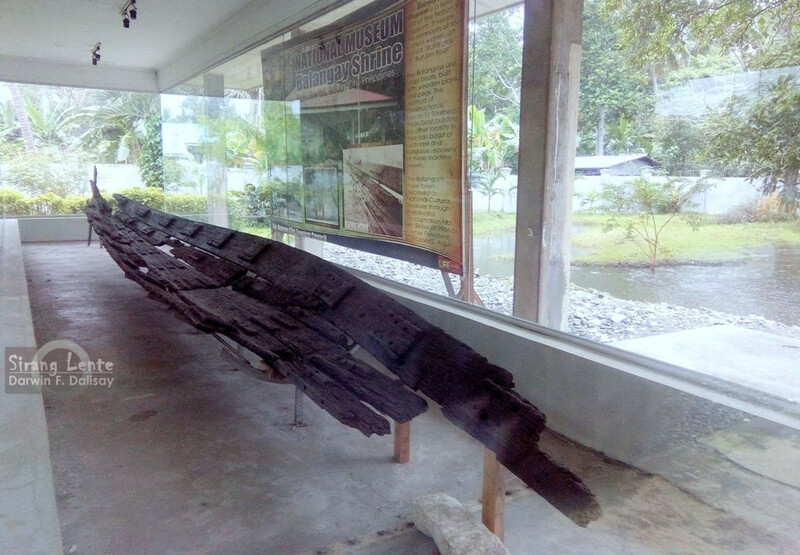 The burials are situated on the high ground beyond the eastern limits of the midden – source: National Museum, Butuan. 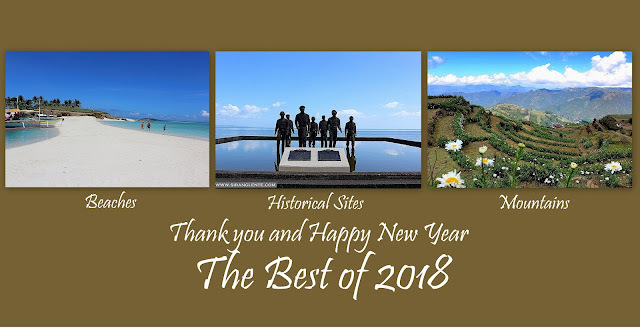 There are old photos taken during the excavation of the Balangay decades ago.